Perrysburg, OH – January 16, 2018. Today Nerdy Pup Games announced the release of its first board game, Space Princess, as a charity drive for the International Bipolar Foundation, launching on IndieGoGo in March 2018. The game honors the memory of the late actor, writer, and icon Carrie Fisher, who was a vocal advocate for mental health awareness. Proceeds from the drive will be donated to the International Bipolar Foundation, a leading organization for bipolar disorder awareness around the world and a cause supported by Fisher. Space Princess is an elegant strategy game for two, set in a retro sci-fi universe. One player takes on the role of the Space Princess, using clever timing and a variety of action cards to escape the board. The other player plays the Dark Zealot, coordinating a team of trooper pawns and special powers to capture the princess before she escapes. Bipolar disorder is a mood disorder that affects 5.6 million adults in the United States, and an estimated 51 million worldwide. Nerdy Pup Games hopes that the campaign for Space Princess will promote awareness and inspire others to help support individuals and families whose lives are affected by the condition. More information about Space Princess can be found at www.spaceprincessgame.com. The Indiegogo campaign for Space Princess will launch in March 2018. 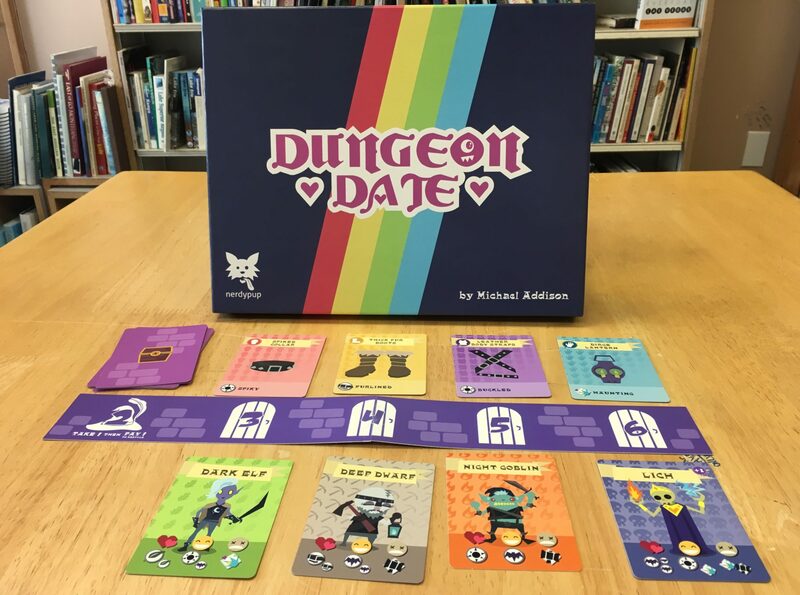 Nerdy Pup Games is an independent board game publisher committed to creating small, focused games that are fun, challenging, and represent everyone that loves board games. Space Princess is the publisher’s first game. International Bipolar Foundation is a worldwide organization founded by four parents of children affected by bipolar disorder. The mission of the organization is to improve understanding and treatment of bipolar disorder through research, to promote care and support resources for individuals and caregivers, and to erase stigma through education. Nerdy Pup Games is heading back to Unpub this year! We’re bringing an updated version of American Monster Hunters, a saucy new design, Dungeon Date, and a few other bits and bobs. We’ll be at table L6. Come check us out! Nerdy Pup Games will be at UnPub 2016 in Baltimore on April 9th-10th. Look for us from 10AM-4PM both Saturday and Sunday. We will be playtesting American Monster Hunters, a co-op card game with teeth! Admission is FREE for play testers. Check us out if you are there!